Richard Zarkin and Phoebe Neuman, editor for the Robb Report with a specialty in travel and fashion. 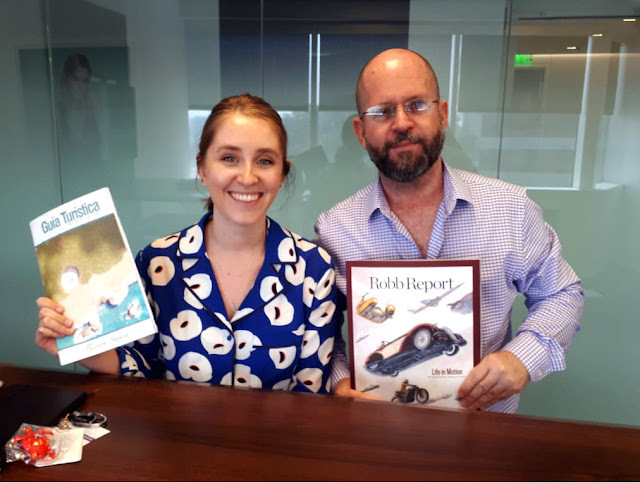 The Riviera Nayarit CVB’s public relations manager visited six cities in the US to conduct interviews with top journalists from August 20-30. 10 days, 6 cities, and 31 journalists: the results of the Media Tour the Riviera Nayarit Convention and Visitors Bureau undertook in six of the United States’ top cities of origin for tourists to the Riviera Nayarit: Miami, Florida; Chicago, Illinois; New York; Los Angeles, California; and Houston, Texas. The goal was to strengthen the relationship with the top media in our neighboring country, which is why there was a change in the original dynamic. In previous years, the bureau held a press conference in New York City and invited the most important journalists in the area. He added that with this type of activities the contact is much more personalized and it’s easier to attain the goals set for ROI, promotion, and brand positioning. To this end, Zarkin held interviews from August 20th through 30th with some of the top journalists in the digital and print media, as well as several freelance journalists who collaborate with specialized magazines and newspapers. The schedule was complemented with work meetings with representatives from Newlink, the official public relations agency for the CVB in North and South America, with offices in Miami. Richard Zarkin and Nicolette Amico. 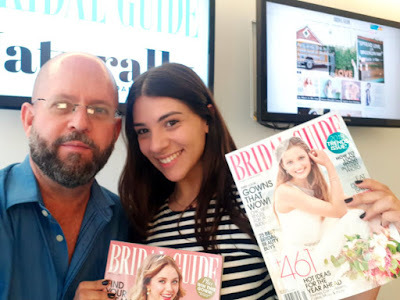 The first city on the Media Tour list was Miami, Florida, where two interviews were already scheduled: one with Mujer y Punto magazine and another with the travel guide editor for the online site Time Out Miami. The second stop was in New York, where he interviewed 11 journalists and editors, among them Justin Goldman from Hemispheres Magazine, with a circulation of 11,900,000 issues; Megan Spurrell, from Condé Nast Traveler, with a circulation of 1,808,296 issues; and Nikki Ekstein, travel editor for Bloomberg Pursuits. 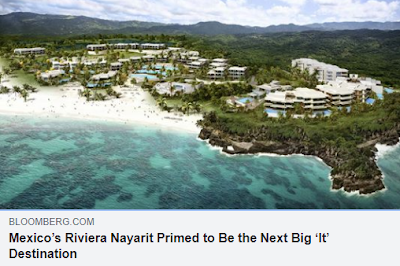 Of note is the fact that Ekstein already published her first article on September 12th titled “Mexico’s Riviera Nayarit Primed to Be the next Big ‘It’ Destination: A luxury development boom in a little sliver of Paradise,” a direct result of the interview with the CVB Riviera Nayarit. Chicago was the third city on the tour list. Zarkin held three interviews, one of them with Jennifer Kester, executive director for the Forbes Travel Guide, which publishes reviews, recommendations, and content based on the tourism destinations they visit. The fourth city on the Media Tour list was San Francisco, where he spoke with four journalists. Aislyn Greene topped the list, a senior editor for AFAR Magazine. This publication focuses on world culture, geopolitics, travels in nature, and personal growth, with a circulation of 286,362 issues. Zarkin traveled from San Francisco to Los Angeles, where he had set up seven interviews with journalists, editors, and bloggers, among them Catharine Hamm, travel editor for the LA Times, and Phoebe Neuman, editor for the Robb Report with a specialty in travel and fashion. Finally, it was time for a visit to Houston, Texas, where there were already four interviews set up, the first one with Jody Schmal, travel editor for the Houston Chronicle, a morning daily directed at the general public in Texas. He also met with Mai Pham, an independent journalist who writes for the Forbes travel guide and the Houston Chronicle. The Public Relations Manager for the Riviera Nayarit CVB said the event was “very successful” and had great expectations for the future, although results are already evident in the publication in Bloomberg Pursuits.